Do you know what the greatest weapon of all time is? It’s not the atomic bomb, it’s not the gas chambers of the Nazi regime, it isn’t even that pistol that your father owns. It is the human mind. Think about it for a moment, really think about it. If a human didn’t understand particle physics could they have built the bomb, if the human mind couldn’t choose enemies would anyone have been gassed, if the human didn’t completely control those tiny muscles in your hand could you pull the trigger? The saying, we are our own enemy is true on so many levels, but mostly because we have the capability in our minds to create our enemy. Lions, while amazing predators, can’t pull determine which of their prey lives and which dies, monkeys in all their play, can’t build a bomb, and those beautiful, wild mustang can’t pull a trigger even in absolute fear. Some would argue that the mustang doesn’t have disposable thumbs. I would counter that with the truth that the human mind has never been limited in its ability to create the very horror that it fears. And while the human mind can certainly destroy, it can also create. 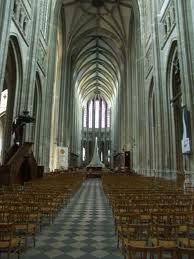 Think of those cathedrals you have seen, even if only in pictures. Think about the ease those cathedrals afford us, and the practicality of God’s existence when we see such incredible feats of engineering and construction. Think about that painting hanging in some museum you will probably never see, that can move you even over the distance of cables. Think of the flowers that grow between the concrete, because someone, somewhere wanted to give each of us a single moment to breathe. After establishing the incredible aptitude of the human mind, one has to look further into all that it can do. It can move muscles, it can move worlds; it can illuminate our beauty as easily as it can hide our ugliness. Yes, it can build cathedrals and design bombs, but it can also dream. It can create worlds within our own realities that can change the outcome of stories already told. It can answer questions that are beyond our simple ability to understand, and it can give us a voice to the very real terror that we all know so intimately. I dream. I dream vividly, which could be a product of either the medicines I take daily, or the disease God decided I was strong enough to cope with. My dreams are as real as the words I am typing right now, and they evade my nights like the wind comes at sea. They are always there and there are always even more real than the life that I reluctantly lead. They are in Technicolor, the kind of color only seen on the high-resolution TVs in your living room. They breathe, they talk, they move, and they wrap around me until I don’t know what is real and what is simply a lie. Often I wake up exhausted, despite getting my eight hours of sleep, because the energy I used to navigate through my life, is expelled in my bed each night. Doctors are confounded by my weight loss, and the fact that I don’t gain weight easily, and I secretly believe it is because I am literally running all day and all through night. And I remember those dreams. I can tell you right now what I dreamed about last night and the almost blind faith I had that what I was dreaming was real. I dream about my job, my friends, my family, places I have been and places I have only seen in pictures; I dream about food that I have never tasted, and rain drops falling on my skin. I dream of things that exist and the things I thought were only a part of imagination. I dream. I dream of stories with no end, and conflicts with no resolution. I dream of words that are never spoken, and pages with no climax, no purpose, no direction. I dream of the sunlight and wake up worrying about a burn. I dream of coffee spills and worry about a burn. I dream of the fire and wake up dying. And it is exhausting because there is no end. There is no completion. Much like in life, the story continues despite the change in sets, the new scenery and the changing of the actors. There is no director, no producer, and no audience except myself. And it is a journey unlike any we ever have to travel because this journey can only be navigated in loneliness. There is no hand to hold, no heart to lean upon, and no arms to catch you when it gets too much. There is nothing but you and the mind that betrays you time and again. For all its incredible accomplishments, the human brain isn’t easy to understand nor categorically inclined to be easily explained. Scientists and doctors spend lifetimes trying to understand the brain, how it functions and how it reacts. But the truth I suspect is something like the cosmos, there are hints of the answer but we will never know the complete reality, either in our dreams or in our life. 🙂 really like your blog, so I have nominated you for the Beautiful Blogger Award. You can chose whether you’d like to participate or not.